SKU: N/A. Categories: Leather Coats, Premium Leather Wear, Special Categories. 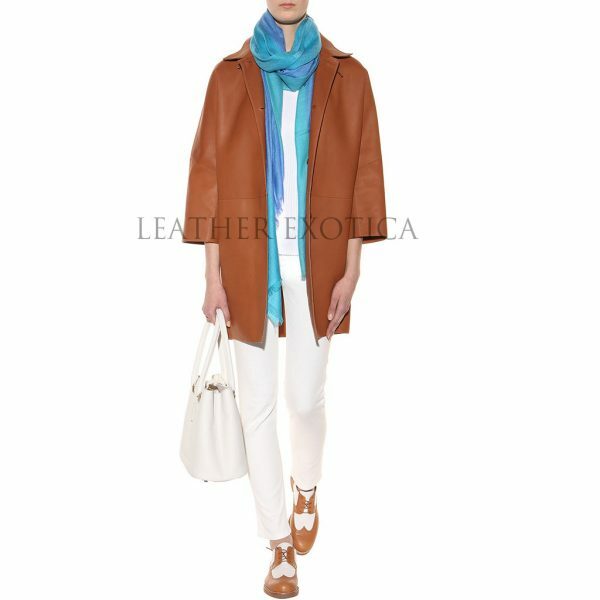 This is a new style notch collar women oversize leather coat which is made from lambskin leather and featured with front button and zipper closure. It has quarter length sleeves and panel detailing. Also, it is fully lined and available in many colors and all sizes. So women what are you waiting for?? 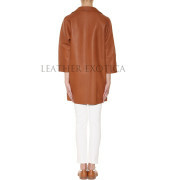 Hold this amazing style women leather oversize coat now. Hurry up! !